The education secretary's actions appear favor for-profit colleges ahead of students, the former Obama officials say. WASHINGTON — A group of former Obama education officials on Thursday launched a legal aid organization to challenge the Trump administration’s policies on student lending and civil rights. The National Student Legal Defense Network will partner with state attorneys general and advocacy groups to file lawsuits on behalf of students who were defrauded by for-profit colleges or faced discrimination. Since coming to office, Trump’s education secretary, Betsy DeVos, has halted two key Obama-era regulations aimed at protecting students from fraud and predatory actions by for-profit universities and has frozen review of tens of thousands of student loan discharge applications. 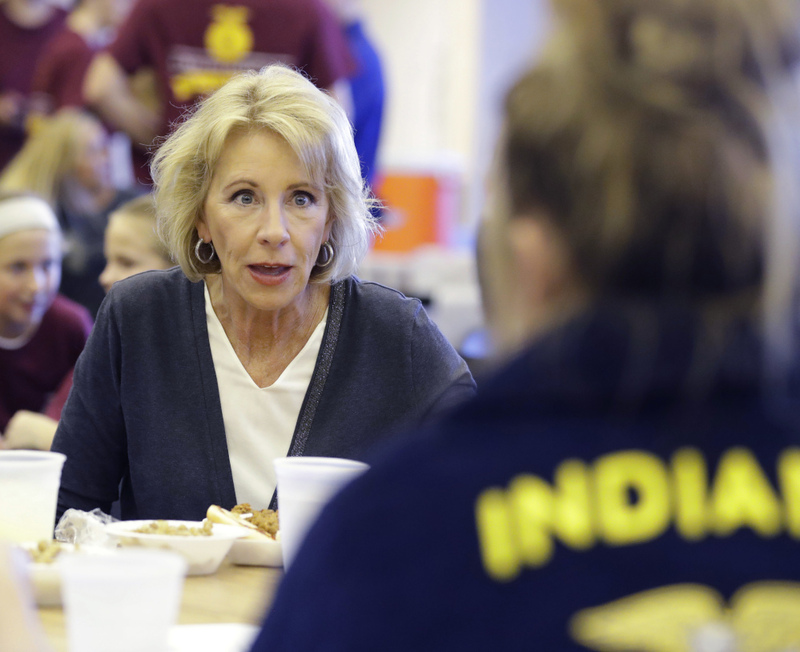 Those actions, as well as the Trump administration’s ties to the for-profit sector, have prompted criticism that the Education Department is looking out for industry interests. Trump earlier this year paid $25 million to settle charges his Trump University misled customers, while DeVos appointed two senior officials from for-profit colleges. Ament said the group will also support students in challenging DeVos’ decision to change the way colleges and universities handle allegations of sexual assault on campus. DeVos has said Obama’s guidance to campuses was skewed against students accused of sexual assault and she intends to set up a fair process. The group will also represent transgender students fighting for the right to use the bathroom of their choice after the Trump administration signaled that the issue must be decided at the state level.